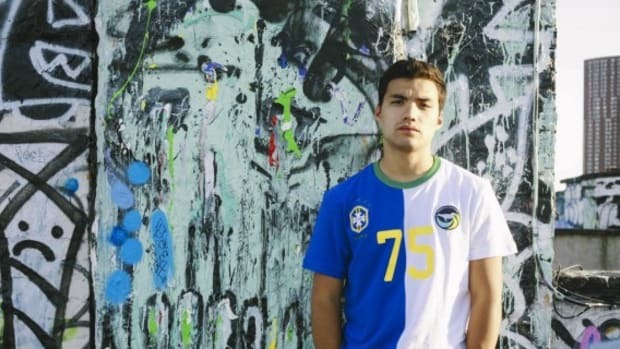 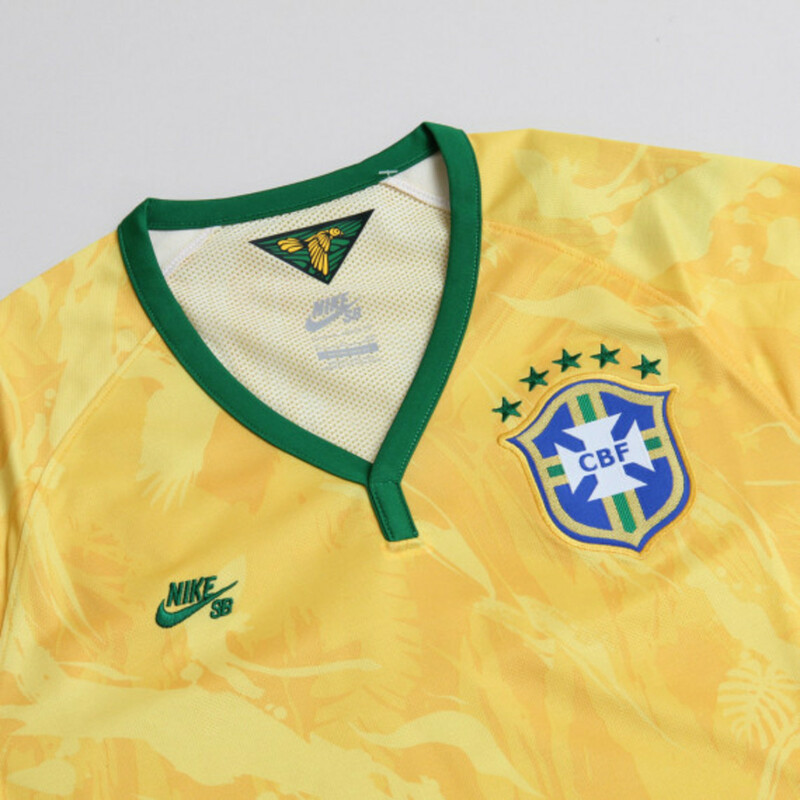 We present a detailed look at Nike SB&apos;s CBF Home Stadium Jersey from the National Teams collection, assembled in honor of the 2014 FIFA World Cup. 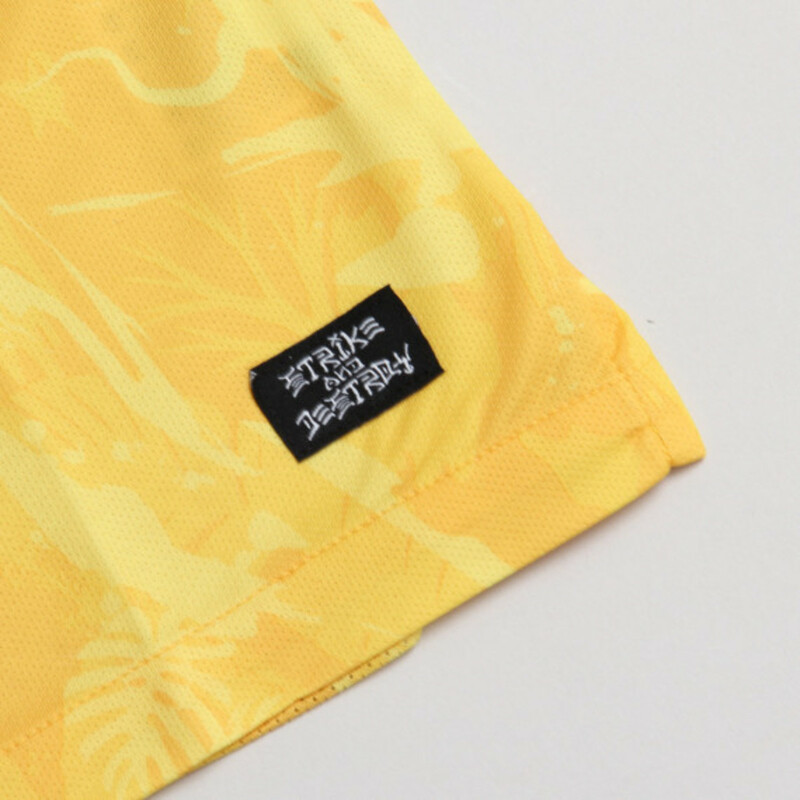 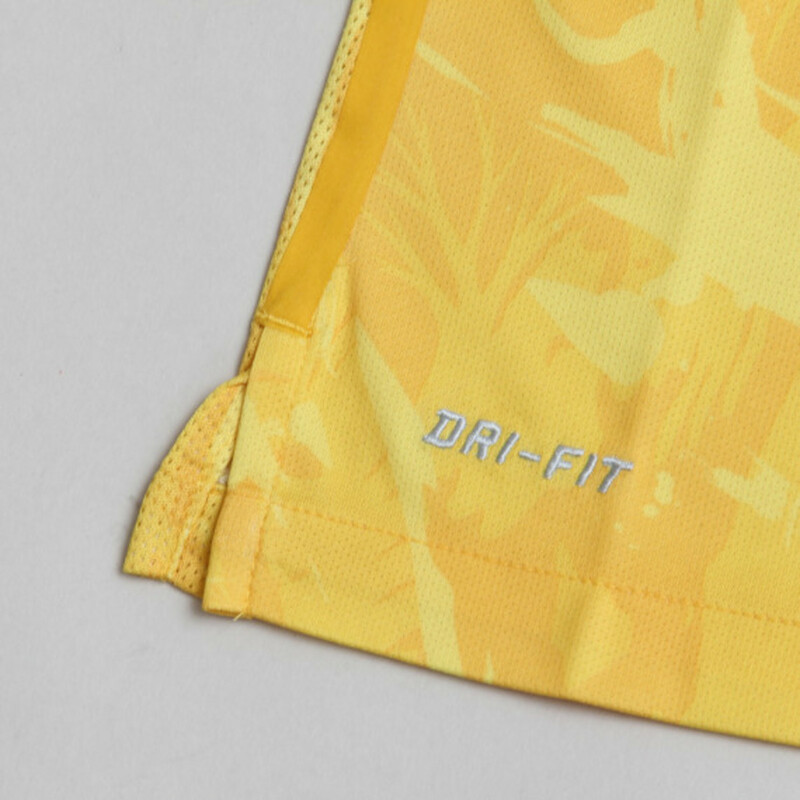 Done up in the colors of the Brazilian national team, the Nike Dri-FIT mesh top has green trim at the collar and cuffs, while the yellow body is printed with a subtle leaf camo print. 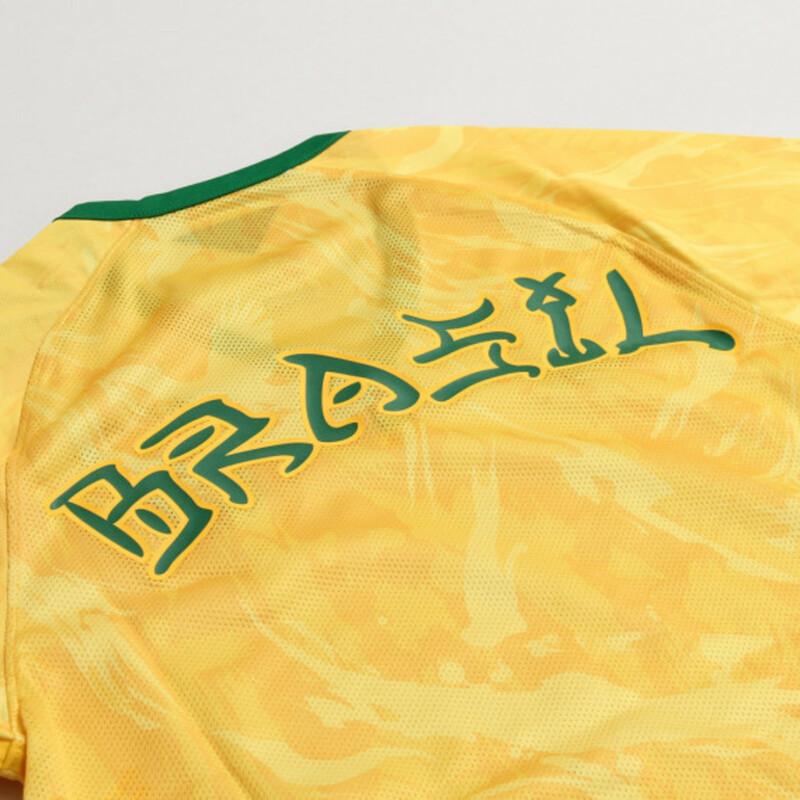 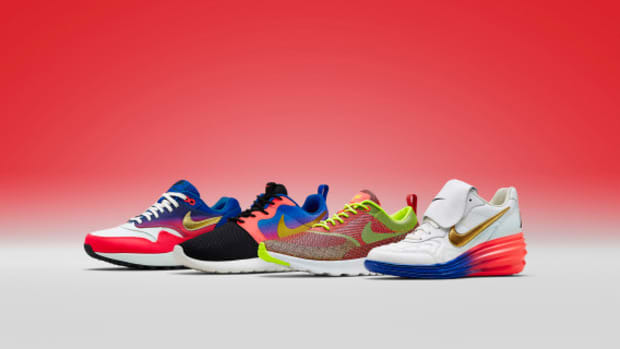 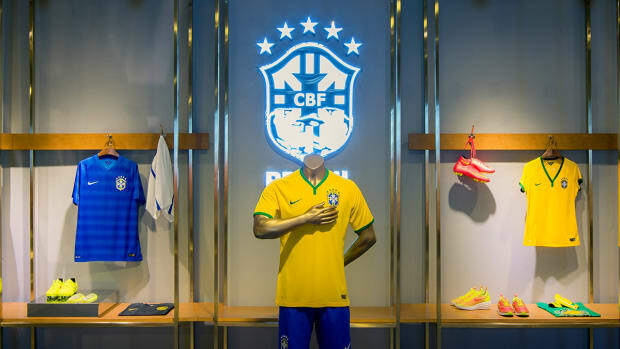 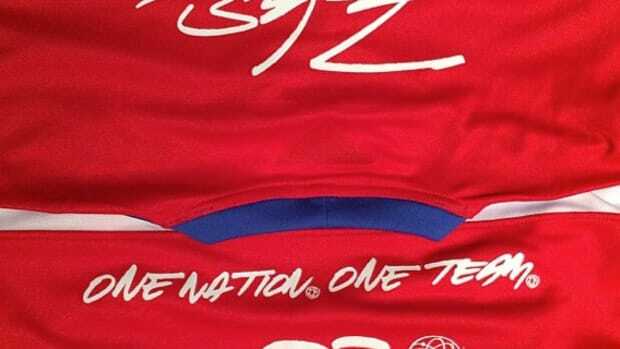 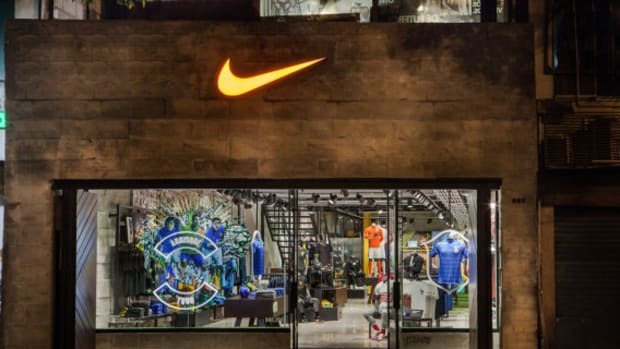 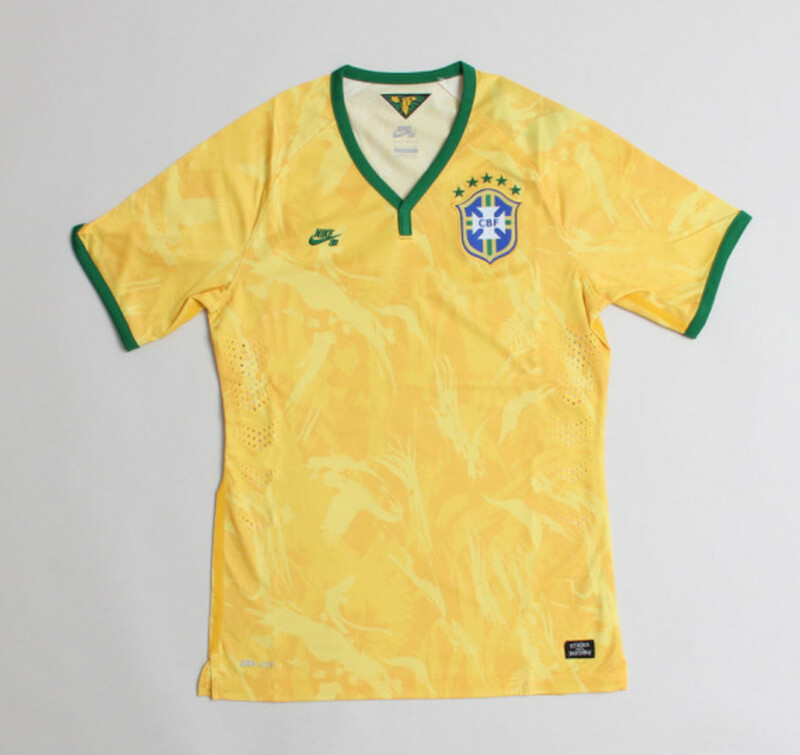 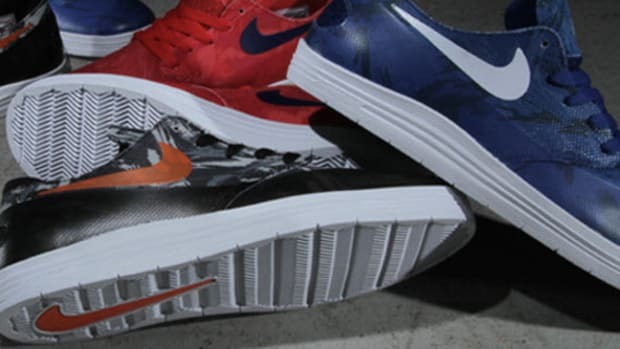 Exterior branding takes the form of Nike SB embroidery and a CBF badge at the chest, as well as large stylized "BRASIL" lettering on the back. 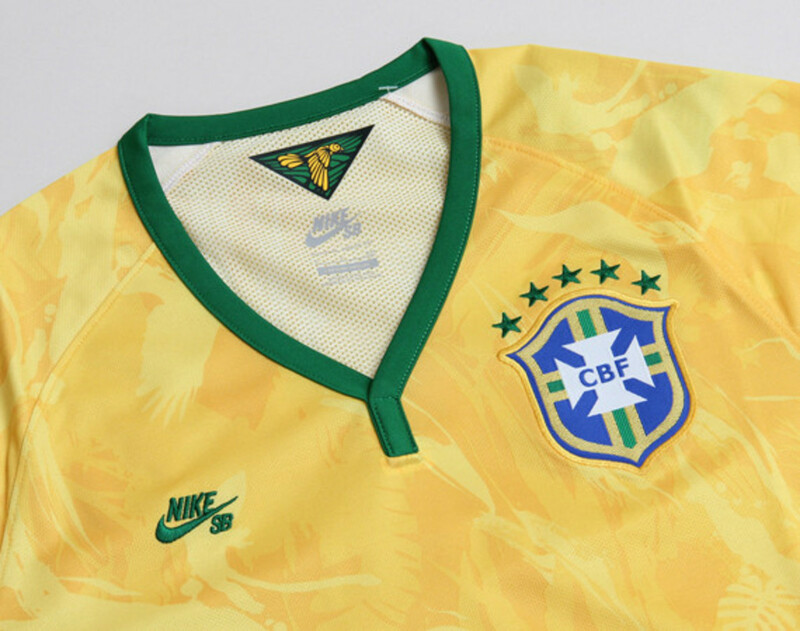 Check out detailed looks below, and get the CBF Home Stadium Jersey now from Concepts&apos; online store.